WE are raising money to pay musicians that play our stage and cover the cost to operate the Windy City Blues Society Street Stage at the 2016 Chicago Blues Fest. 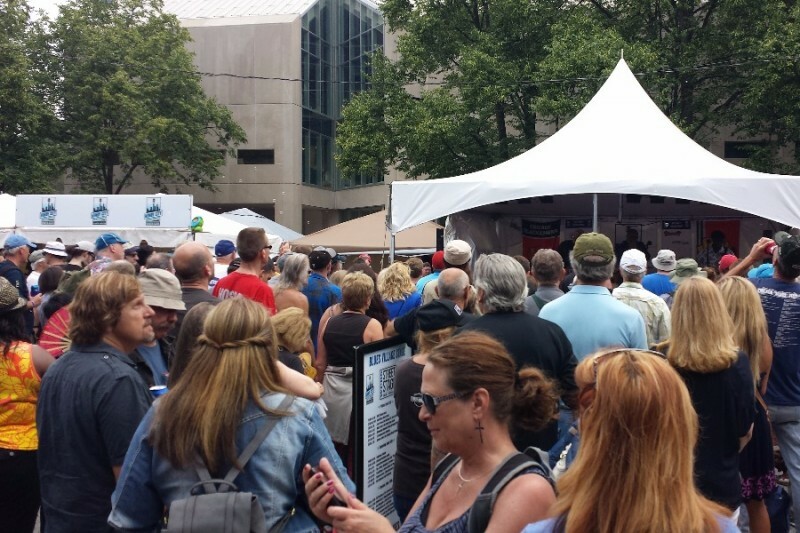 The WCBS Street Stage provides about 25% of all the live performances at the Chicago Blues Fest. The City of Chicago provides ZERO funding for our stage but does provide tents and electricity. They also give us about 1 parking pass per act, the other 80, or so , musicians have to pay for their own parking. Please donate. Please donate something, we are a 501 C 3 Public Charity. All of our reports are filed annually with both the Illinois Secretary of State and the Illinois Attorney General, Charitable Trust Fund. I am asking you one more time, before we close the books on the 2016 Chicago Blues Festival to help with the pay for the musicians. If you have given, leave a comment, or a story for others to read. WE are paying musicians $50 per musician for a total of $5225.00 (for 104.5 musicians). WE raised $2484.00 in money specifically earmarked for paying musicians (including $590 from the Lori Lewis fundraiser) . WE will be kicking in $2,741 from our own fund to help pay all the musicians $50 each. I am asking you to help us with that extra $2,741 we kicked in to pay the musicians$5,225.00. If you had a good time at the WCBS Street Stage, but have not given yet, THIS MESSAGE IS FOR YOU. If you enjoyed yourself in the past, but never given to support the Chicago Blues Fest, The WCBS Street Stage provides a full schedule of blues music for the Chicago Blues Fest. Donating to us now, will directly benefit our ability to help with the Chicago Blues Festival 2017. Share this with friends, we are a good charity. It is a good time to give. Thank You Come on down to the Chicago Blues Fest. Keep those cards and letters coming, Thank You. The Official Blessing of the 2016 Chicago Blues Fest will take place at noon today (Thursday, June 9th ) at the Windy City Blues Society Street Stage site. This unique blessing will be administered by Catholic Deacon James Norman. Join us for a moment of gratitude for what we are about to experience. A moment of thanksgiving for all the magnificent blues artists we will be experiencing and have experienced in the past and will in the future. A moment of gratitude for those supporting the arts in general, and a moment for the places and people that help make The Chicago Blues Festival happen. Lets all go forth and spread the good Blues. Hi everybody and thank you for paying attention. We just purchased additional parking passes for the musicians. 10 passes cost over $200. Thank You So Many Times. Your generosity helps the musicians and increases our ability to give back. If you have not given, you can still buy the musicians button and contribute in person at the festival. And for the stragglers......WE will keep the fundraising going two more weeks after. Windy City Blues Society has provided a Rocking Great Line Up at Chicago Blues Fest for over 5 years now. Blues Fest 2016 promises to be even better because of donations from friends like you! Please give generously so we may continue the work and fun of Blues! Many Thanks! Hope to see you June 10-12 at Chicago Blues Fest in Grant Park. Thanks for helping to keep the blues alive - especially Chicago Blues. Since I drank at your stage for free all weekend....figured its the least I can do. What a fabulous event. Can't wait to do it all again next year! It is an awesome thing the Windy City Blues Society does every year - showcasing the best in Chicago Blues talent. Keep up the good work! We love Chicago Blues!!! See you all at the festival!